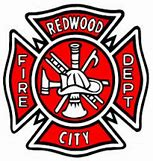 Redwood City Fire Department responded to a structure fire on Jackson Street in Redwood City with one fatality and one person transported to the hospital. The fire is under investigation by the Fire Department in coordination with the Police Department. Any media inquiries should be made to Redwood City Fire Department.